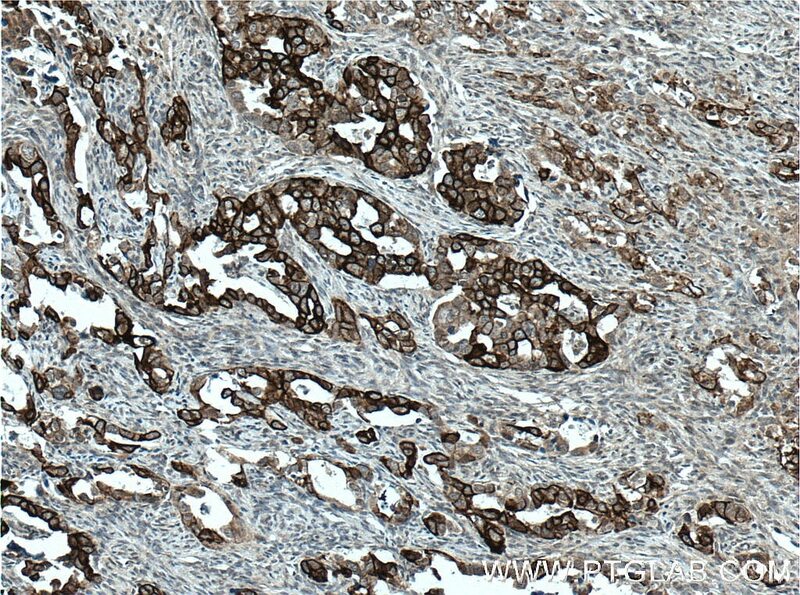 Immunohistochemical analysis of paraffin-embedded human breast cancer tissue slide using 16195-1-AP (Claudin 4-specific antibody) at dilution of 1:200 (under 10x lens) heat mediated antigen retrieved with Tris-EDTA buffer(pH9). 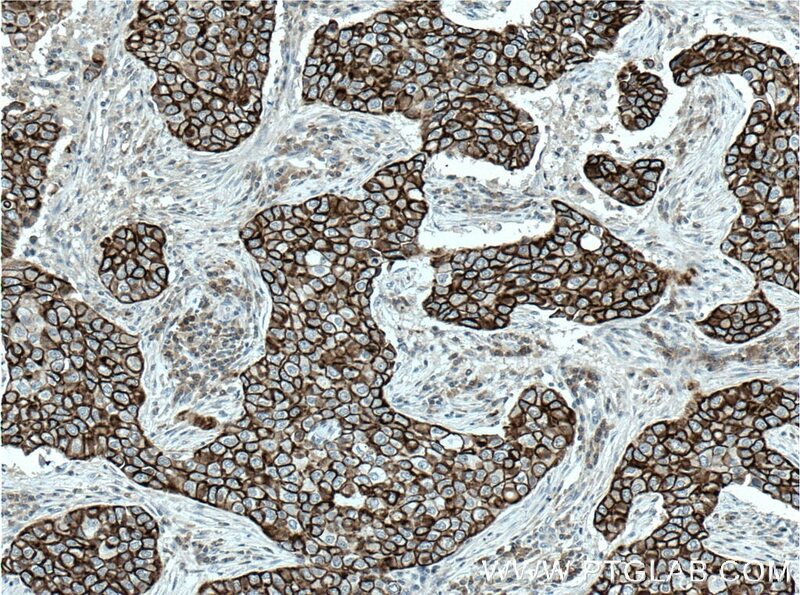 Immunohistochemical analysis of paraffin-embedded human breast cancer tissue slide using 16195-1-AP (Claudin 4-specific antibody) at dilution of 1:200 (under 40x lens) heat mediated antigen retrieved with Tris-EDTA buffer(pH9). 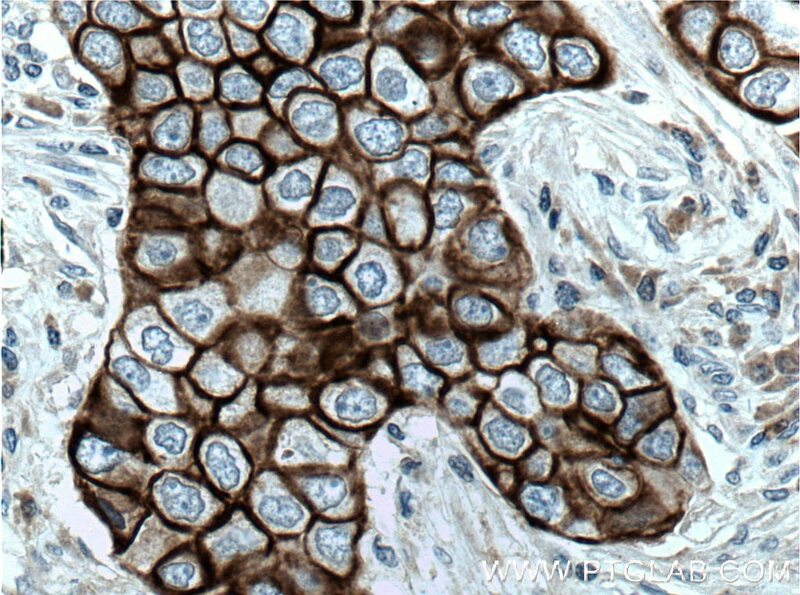 IP Result of anti-Claudin 4-specific (IP:16195-1-AP, 4ug; Detection:16195-1-AP 1:300) with human placenta tissue lysate 4400ug. 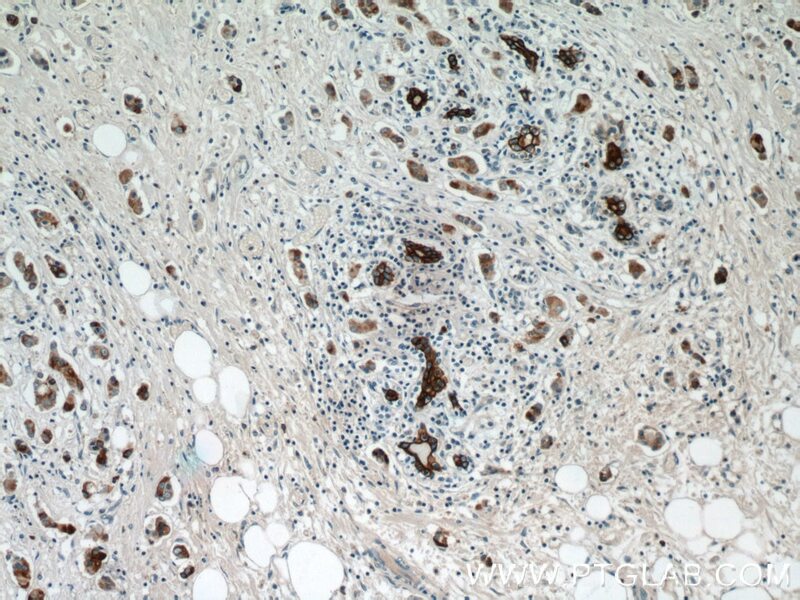 Claudins are a family of proteins that are the most important components of the tight junctions, where they establish the paracellular barrier that controls the flow of molecules in the intercellular space between the cells of an epithelium. 23 claudins have been identified. They are small (20-27 kDa) proteins with very similar structure. 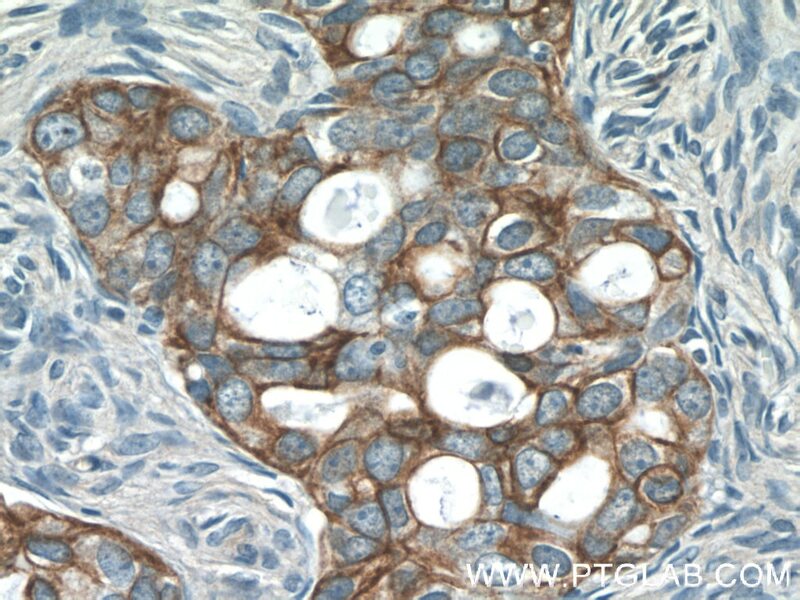 They have four transmembrane domains, with the N-terminus and the C-terminus in the cytoplasm. 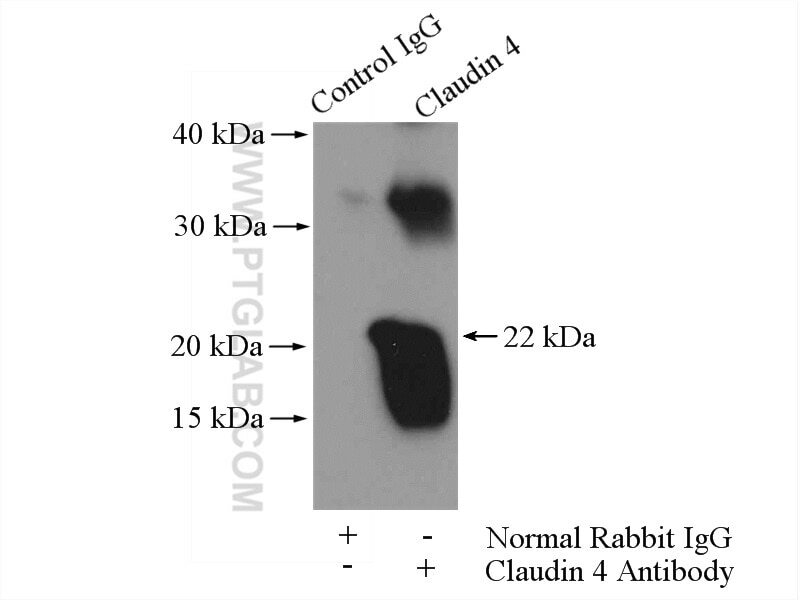 This antibody is specifically against claudin 4. 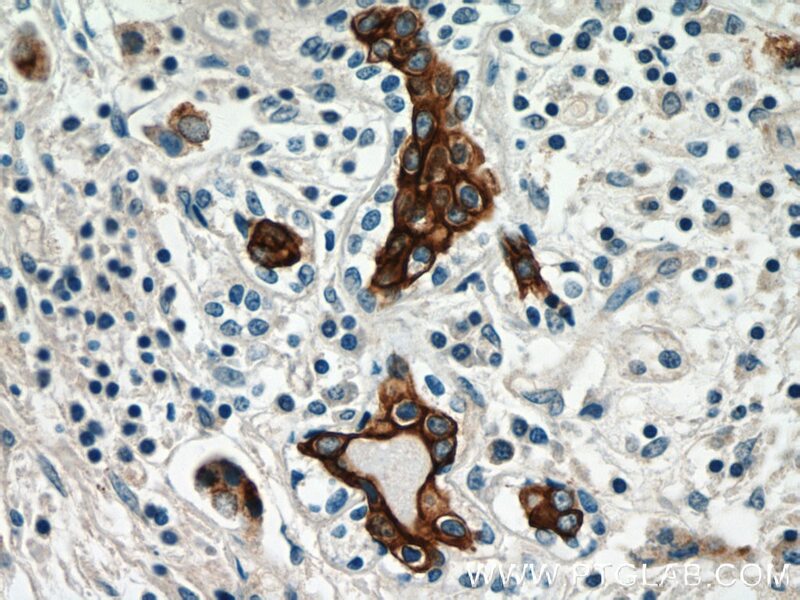 Endotoxemia alters tight junction gene and protein expression in the kidney. 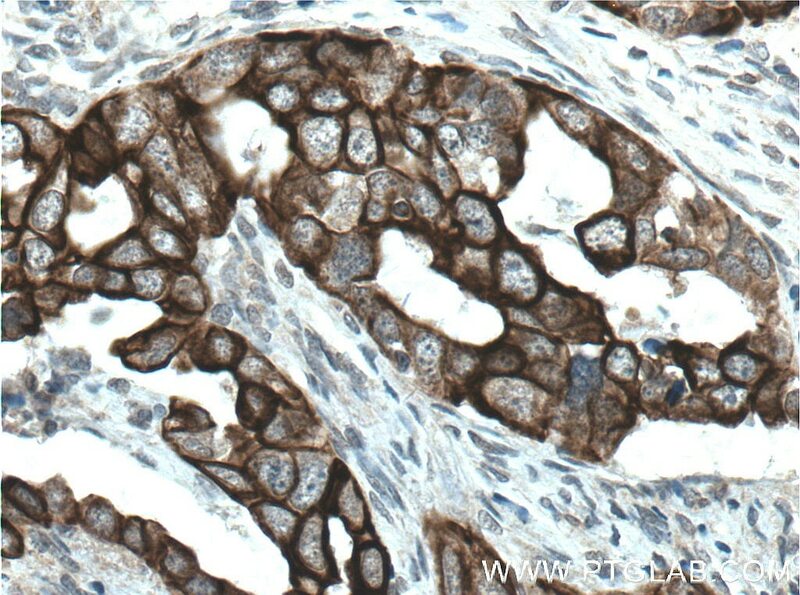 Immunohistochemical analysis of paraffin-embedded human ovary tumor tissue slide using 16195-1-AP (Claudin 4-specific antibody) at dilution of 1:200 (under 10x lens) heat mediated antigen retrieved with Tris-EDTA buffer(pH9). 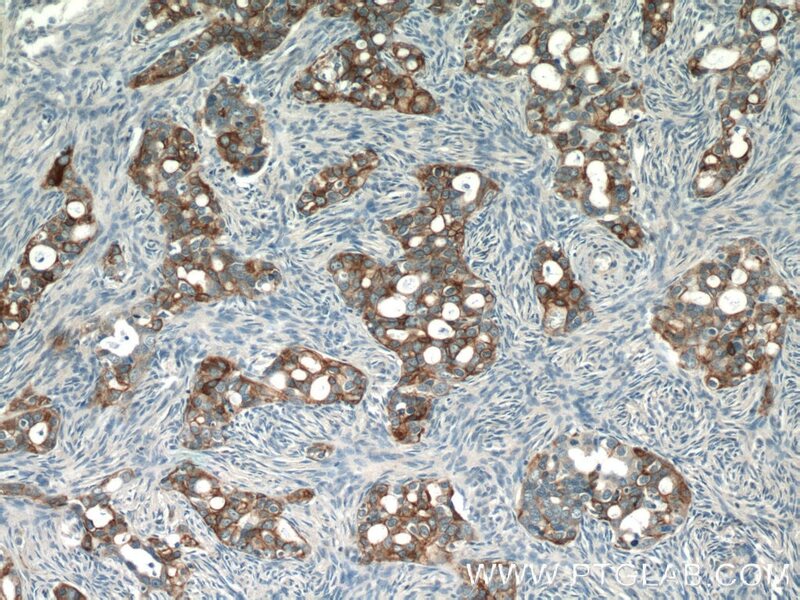 Immunohistochemical analysis of paraffin-embedded human ovary tumor tissue slide using 16195-1-AP (Claudin 4-specific antibody) at dilution of 1:200 (under 40x lens) heat mediated antigen retrieved with Tris-EDTA buffer(pH9).